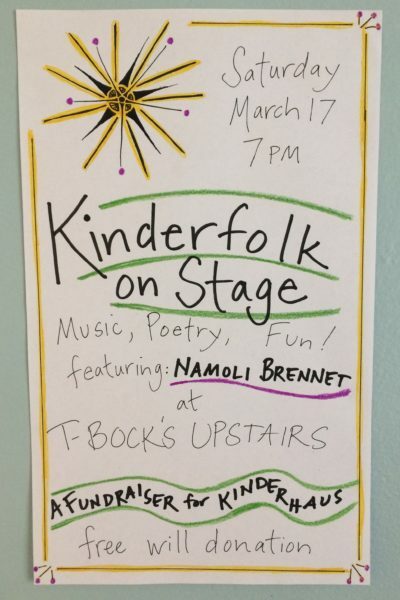 Enjoy live music, poetry, delicious appetizers, and a cash bar at T-Bock’s Upstairs, March 17, 7-11pm. Free-will donations will support Kinderhaus Preschool. This night of fun is for the whole community – ALL are welcome!